At least once in your life you must splurge and do the whole spritz in the Piazza San Marco thing. 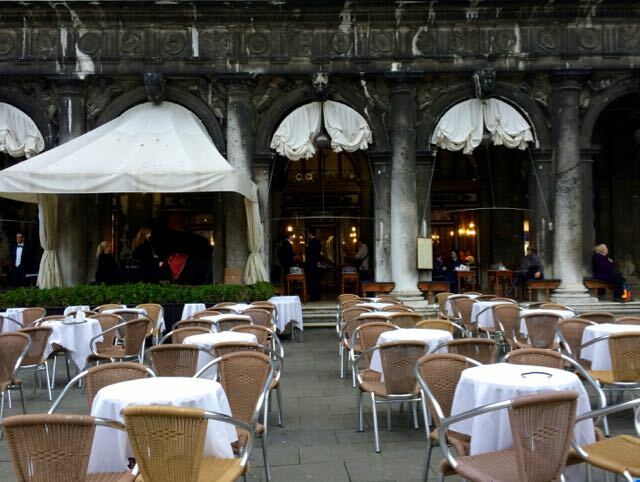 (Fun fact, did you know that this is Venice's only Piazza?) Yes it's pricy, but budget the time and the cash and make the most of the live orchestra playing, the non stop action in the piazza, and a very memorable Venetian cocktail moment. There are some iconic Venice images that you just have to take for your Instagram and Facebook feed. The biggies, which will require some patience and some good framing include in front of the Bridge of Sighs, in the middle of Piazza San Marco and the view from the Academia Bridge. 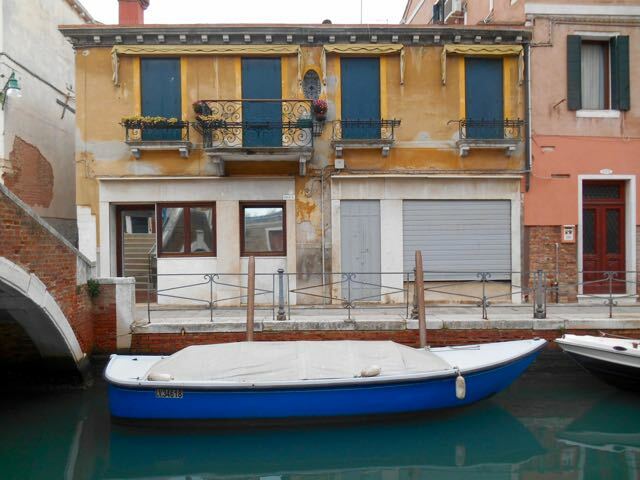 Some lesser known sights that are worth the digital space are the Calle Nuovo in Castello where you will find brightly colored buildings and colorful laundry strung between them and the Squero di San Trovaso around the corner from Zattere is where gondolas go for a tune up. A gondola is truly a work of art. Each gondola has 280 pieces, each piece is made by hand, each by a different skilled craftsman. There are just over 400 gondoliers who row on the waters of the lagoon. 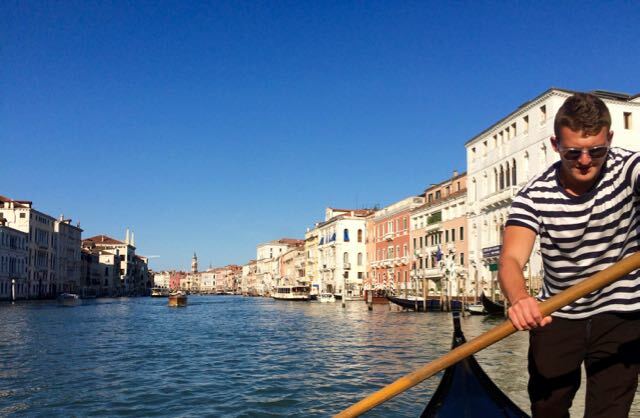 A forty minute gondola ride for up to six people costs 80 euro. After 7pm it is 100 euro. There is no need to book ahead, find a quieter canal for a more peaceful ride. If you want the iconic Saint Mark's Square in the background know that there will be traffic. A unique part of Venetian culture and cuisine is "cichetti." These are small plates of savory snacks served at places called "baccaro" from late morning until early evening, look for a crowd standing with glasses in hand; Head to the bar, point at what looks good from behind the glass cases and order your glass of wine or prosecco. Just like a Venetian. Venice has 139 churches. From the grand Saint Mark's Basilica that glitters with gold mosaics and detailed marble floors to the Palladian masterpiece of San Giorgio Maggiore. You can hunt for works by Tiepolo and Titan in San Lio and find the tombs of 25 Doges, who once ruled the city in San Zanipolo. The facade of San Moisè is a baroque counterpoint to the sharp lines of the many Palladin and gothic styles that are found in Venice. 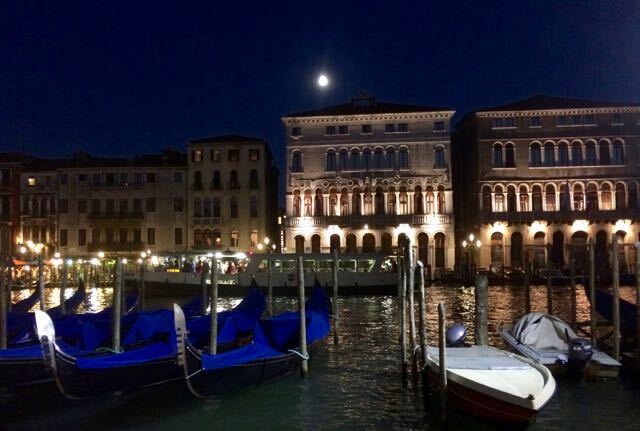 If you are visiting Venice in high summer the heat can be overwhelming. All it takes is a quick water taxi ride over to Lido and you can be swimming in the sea or resting under an umbrella with your feet in the sand. There is also a peaceful World Wildlife Fund protected nature reserve, the Oasi delle Dune deli Alberino, where you can search for sea birds like plover and terns. The crowds in Venice can get a little frustrating. 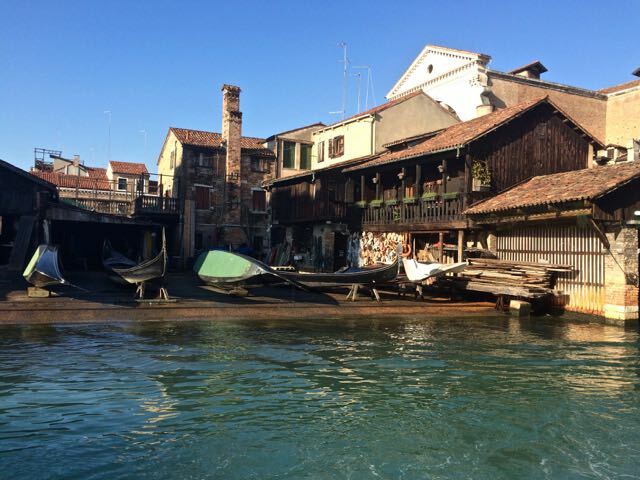 Take the vaporetto (water bus) to the Sant'Elena stop and you will find an island that is bounded by a wide flat space that you can walk along next to the canal with views back towards San Marco and San Giorgio. There is a green park and benches to take a break. Wander back into the neighborhood of art deco buildings and cross over to the small island of San Pietro. The church there was once the main cathedral for Venice before the construction of Saint Mark's Basilica. Take the one long straight road, via Garibaldi, a filled in canal, back to the Arsenale or Giardini vaporetto stop. Look for the picturesque market boat parked at one end and stop in one of the bars and cafes for a craft beer or a spritz along the way. Take in as many Titians, Tintorettos and Canalettos as your eyes can handle at the Academia and The Scuola Grande di San Rocco. The Peggy Guggenheim collection is a wonder of contemporary art housed in the American socialite's former villa on the Grand Canal. If you are visiting Venice during a Biennale year the cities artistic riches are exponentially increased with the pavilions in the Giardini and the massive Arsenale space and the many collateral events scattered all over town to see.